BELIZE CITY, Wed. Apr. 6, 2016–Two very prominent government departments—the Fisheries Department and the Forestry Department—this morning launched their online application service for permits and licenses in what organizers say opens a new era of e-Governance for the public sector entities. Registered users will also be able to track their application status online, organizers said. Hon. Gaspar Vega, Deputy Prime Minister & Minister for Agriculture, Fisheries, Forestry, the Environment and Sustainable Development, who said that the initiative represents “an important shift in governance,” told the press that they are demonstrating, through the initiative, their commitment to improving services to customers. Vega said that they are starting a new era, and doing business with government will be much easier. The government reps who detailed the system this morning explained why customers won’t have to burn holes in their pockets “running up and down to Belmopan” to, for example, apply for things like forestry permits. For now only 20 exports in the fisheries sector can use the online platform to do business. For them, over-the-counter applications will be phased out on April 11. Meanwhile, persons who trade in shark meat, whelks, sea cucumbers, as well as individuals who need permits to export up to 20 pounds of fish would still be required to use over-the-counter service. Mauro Gongora, Acting Fisheries Administrator, told Amandala that this is a good start for them, but the intent is to introduce more services online. Currently payments for all services have to be done over-the-counter, and in the case of online applications, at the Treasury Department. As for bugs in the system, Vega said, “From time to time, we will always have glitches,” but added that CITO technicians are reliable and will stay on top of things. Vega said that BELAPS will enable them to conduct business in a more transparent manner, from the time an application is entered until the time a response or approval is given. Under the Forestry platform, traders who export mahogany, cedar and rosewood, won’t be able to apply online, since they will require special certification to trade in these protected resources. Taiwan Ambassador to Belize, H.E. Benjamin Ho, said that the initiative results from a long-standing partnership between the Government of Belize and the Government of Taiwan, which assisted Belize with the establishment of CITO. Vega announced that a team of consultants will be visiting Belize this week to help develop the online services for the departments. Chief Forest Officer Wilber Sabido said that in the coming weeks, they will work along with CITO and users, many of whom were present for today’s launch, to assist them in becoming more familiar with the platform and to clarify their doubts and remove fears, which he anticipates would surface. 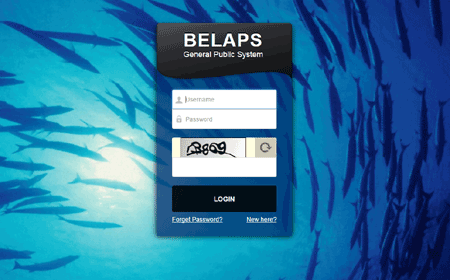 The fisheries platform can be accessed at: http://belaps.ict.gov.bz/FISHERIES. The forestry platform is located at: http://belaps.ict.gov.bz/FOREST/.